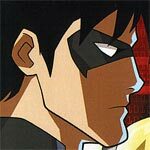 I’m happy that Warner, through their Archive line, released “Young Justice”: Invasion as a companion to the first season. It’s a great show through and through with excellent action, engaging storylines and nice animation. The Blu-ray release offers some good bonus material and solid video/audio transfers. 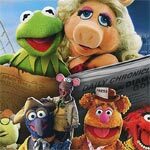 This is a release you buy solely for the movies and both The Great Muppet Caper and Muppet Treasure Island are great movies for the entire family, though latter is a tad darker in comparison. However, the bonus material is limited (and mostly non-existent with Caper) but the audio and video transfers are both well done and don’t appear to have been DNR’d to death. 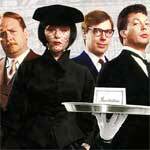 Clue is one of those comedies that have stood the test of time. The actors are so funny and perfectly cast for their respective roles and despite being based on a board game, and as inane/forced as the plot is, it’s reasonably mysterious to go along with the comedy. The Blu-ray offers up a nice high-definition video transfer and although the audio isn’t the greatest, it’s still OK. Scary Movie 2, while not an awful film, is just simply not very funny. It pales in comparison to the original and makes the two other sequels look absolutely brilliant. I’ve now seen this film twice and nothing has changed over the years; I might’ve chuckled a couple of times but otherwise I just had a blank stare counting down the minutes until it was over.